Synopsis : The Senior Citizens League claims one of the first tax cuts to expire under recent U.S. tax law likely to affect senior taxpayers and people with highest healthcare costs starting in 2019. One of the first tax cuts to expire under the recent tax law is likely to disproportionately affect older taxpayers and others with the highest healthcare costs starting in 2019, says The Senior Citizens League. "The medical expense deduction will become less generous in 2019, and that is likely to affect older taxpayers, because they tend to have high medical expenses," says Mary Johnson, a Social Security policy analyst for The Senior Citizens League. "A less generous healthcare cost deduction could mean higher taxable income next year," she cautions. The 2017 tax law contained a provision for all taxpayers that temporarily increased the deduction for qualified medical expenses. Taxpayers are allowed to deduct qualified medical expenses in excess of 7.5 percent of their adjusted gross income (AGI) for the 2017 and 2018 tax years. In 2019, the threshold will become less generous for all taxpayers, rising to the excess over 10 percent of AGI. "Many older taxpayers probably did not even know they were getting a medical expense tax break for 2017, or this year," Johnson says. The 7.5 percent of AGI threshold was unchanged from what taxpayers age 65 and older paid in 2016, and before. That threshold, however, was formerly scheduled to rise to 10% of AGI in 2017. "Meanwhile taxpayers younger than 65 could only deduct medical expenses in excess of 10% under the former tax law, and so for that crowd it may have been noticed as a tax break," Johnson notes. 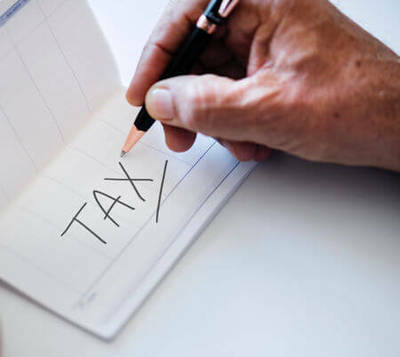 According to a recent nation-wide survey conducted by The Senior Citizens League, almost one-third of older taxpayers, 30 percent, say they itemize deductions for healthcare costs, and about 56 percent say that a portion of their Social Security benefits are taxable. "Taxpayers who may be postponing needed medical or dental services, getting glasses, or filling expensive prescriptions may want to consider doing so before the end of the year, in order to maximum the medical expense deduction in 2018," Johnson says. Although the new tax law almost doubles the standard deduction, and increases the deduction for taxpayers over the age of 65, The Senior Citizens League still encourages older taxpayers to compile and check medical and other deductible expenses before automatically taking the new standard deduction. The Senior Citizens League is working for passage of legislation that would lower or eliminate the taxation Social Security benefits, and strengthen Social Security for all. With 1.2 million supporters, The Senior Citizens League is one of the nation’s largest nonpartisan seniors groups. Its mission is to promote and assist members and supporters, to educate and alert senior citizens about their rights and freedoms as U.S. Citizens, and to protect and defend the benefits senior citizens have earned and paid for. The Senior Citizens League is a proud affiliate of The Retired Enlisted Association. Visit www.SeniorsLeague.org for more information.